Self-priming submersible sump pumps are ideal for many industrial applications, such as construction site and mine dewatering, flood control, sewage treatment and more, because the pumps are typically submerged in fluid that is being pumped or processed. Many industrial fluid processing professionals use sump pumps to extract and eliminate water, sewage or other fluids. All of the pumps and pump related equipment, such as a v-belt driver and other drive equipment, in our Phantom Pumps lines are compatible and interchangeable with more expensive pump models and components produced by well-known manufacturers. Our PL-6 low pressure portable sump pump models are cost-effective alternatives to All Prime S-6 Series trailer mounted sump and mining pumps, while our Low Pressure Pump PL Series sump pumps are excellent substitutes for Gorman-Rupp T-2 Series mining pumps and ESCO Pumps LP Series pumps. Taking advantage of our Phantom Pumps application engineers is always the best way for organizations with operations in Florida, Georgia, Alabama, South Carolina, North Carolina and/or the surrounding areas to determine which sump pumps or v-belt driver in our lines are best suited for their needs. Our engineers make recommendations by matching technical data on our pumps to your unique operation specifications. 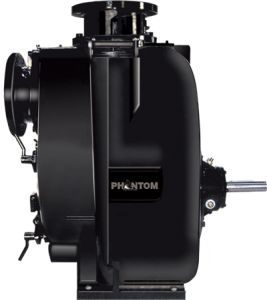 You can rely on your local Phantom Pumps distributor to carry our entire line of pumps along with a complete inventory of our replacement parts, which can be used on repair and maintenance of compatible Durco, ESCO Pumps, Gorman-Rupp, All Prime and Warman pump equipment such as v-belt driver equipment and more. Contact a courteous associate today to cross reference our Phantom Pumps pump equipment and replacement parts to the existing equipment at your facility.